In the primary care office, ultrasonography is the first-line study for a palpable thyroid mass. The goal is to determine whether the mass is cystic, solid, or mixed. It is also used to provide a presumptive diagnosis of malignancy in the hands of an experienced radiologist, since malignant thyroid nodules have some very specific ultrasonographic characteristics. 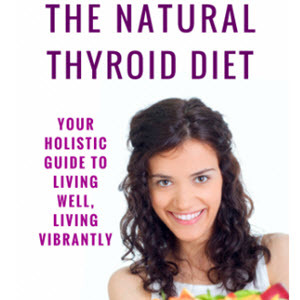 If the patient is hyperthyroid, with suppressed sTSH, ultrasound is done in conjunction with radioisotope scan. 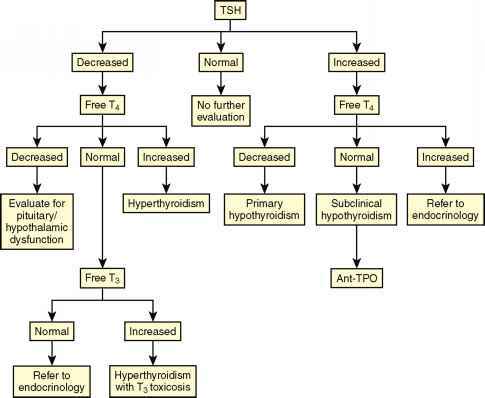 Figure 35-1 Algorithm for diagnosis of thyroid dysfunction, beginning with abnormal serum thyrotropin (sTSH) level. 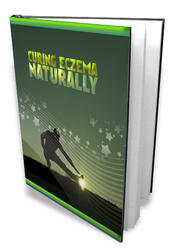 with the remainder of the gland, under the control of sTSH, being hypoactive or inactive. Computed tomography and MRI are not useful in diagnosis and treatment of nonmalignant diseases of the thyroid and thus are not recommended as initial studies. For biopsy-proven malignancy, CT and MRI can be useful preoperatively to define the area of involvement and for postoperative follow-up. CT and MRI should be reserved for the surgeon and oncologist.